You connect thinking and acting? Awesome, then you’re the right fit for us! 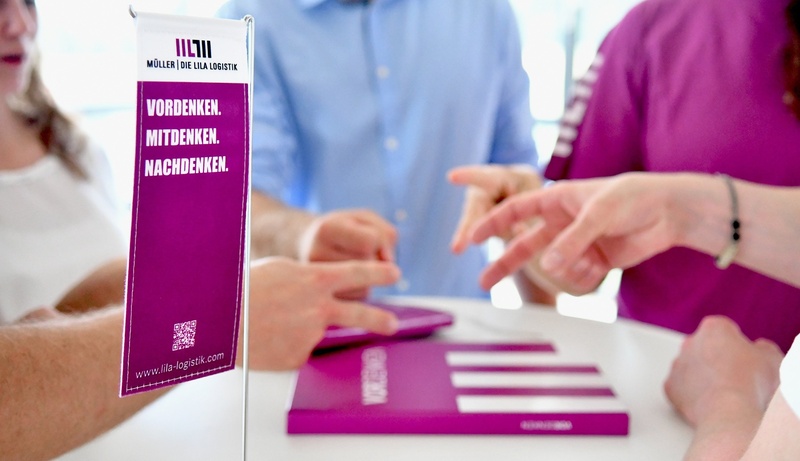 Müller – Die lila Logistik is a modern logistics service provider with the two business units Lila Consult and Lila Operating that’s so successful because of the interaction of thinking and acting. This is exactly where you fit in, because due to our business model, you’ll access a broad spectrum of career opportunities and chances for your personal development. We offer a safe and stable employment with long-term perspectives. If you, like us, work with both your mind and heart, we’d appreciate receiving your application. Haben wir Ihr Interesse geweckt? Dann freuen wir uns auf Ihre aussagekräftige Bewerbung inklusive Gehaltsvorstellung und frühesten Eintrittstermin per E-Mail unter der Kennziffer .